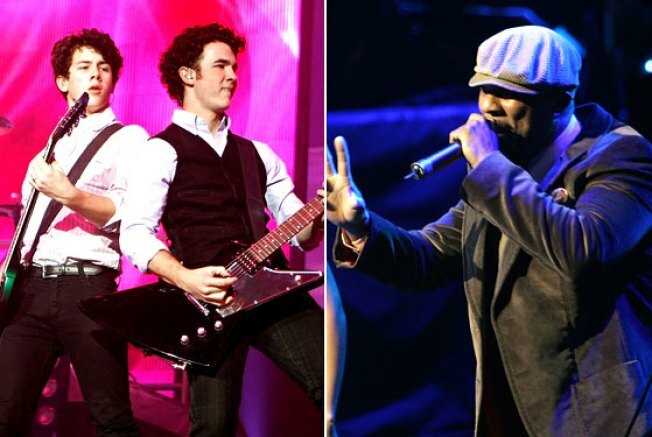 Earlier today we alerted you to the leakage of the Jonas Brothers’ latest, Lines, Vines, and Trying Times; now we direct your attention to Lines’ “Don’t Charge Me for the Crime,” a foot-stomping ditty featuring two mini-verses from Common. Why Common? We’re not sure, although to their credit, the trio did give advance warning: Back in March, Nick “most hip-hop” Jonas told MTV the guys were working on a track perfect for a rapper “who has some real meaningful lyrics … some real depth to what he's saying — someone like a Common or a Lupe Fiasco or a Mos Def.” Of course! So what sort of bright and shining knowledge does the Chicago emcee impart? People, “the American dream can be so deceptive.” Now, put the pieces of your brain back together, and move on. Why Can’t Danny Gokey Get a Record Deal?